Located in the large city on the southern coast of Haiti, Harvest Jacmel has seen God move powerfully in the congregation and community. Launching under the leadership of Pastor Abraham Comper and partnering with Harvest Peoria, Harvest Jacmel was one of the largest church launches in Harvest history, with 1400 attendees on launch Sunday. The church quickly outgrew their original building, so construction soon began on a permanent building that was completed in 2017. Originally a church planted by Pastor Abraham Comper, Harvest Montagne La Voûte partnered with Harvest Jacmel and Harvest York Region, as they transitioned to become a Harvest Bible Chapel. The Lord has blessed this place and stirred the hearts of those that come from this small, remote community in the mountains near Jacmel, so much so that the staff, under the pastorship of Renel Lebrun, is beginning to look into an expansion for their building. The ministry in Cap Rouge began on May 29th as people from Cap Rouge and the surrounding area came to hear God's Word proclaimed and Christ lifted high in worship. A remote community in the mountains of Haiti's Southeast department, Cap Rouge has limited churches within walking distance for the people. Many thirst for the Word and the teaching led by the Holy Spirit, and Harvest Cap Rouge, led by Pastor Antoine, has been the Lord's blessing for these people, many of whom walk hours for the Sunday service. Cap-Haitien is a large, urbanized city in northern Haiti, and Pastor Jethro has been faithful to follow the Lord's calling to minister to the people here. In the summer of 2017, Pastor Jethro was part of the Harvest Training Center's first graduating class, and he officially launched Harvest Cap-Haitien the following January. Since then, the church has seen tremendous blessing, as they continue to grow and are beginning to implement small groups and new ministries. 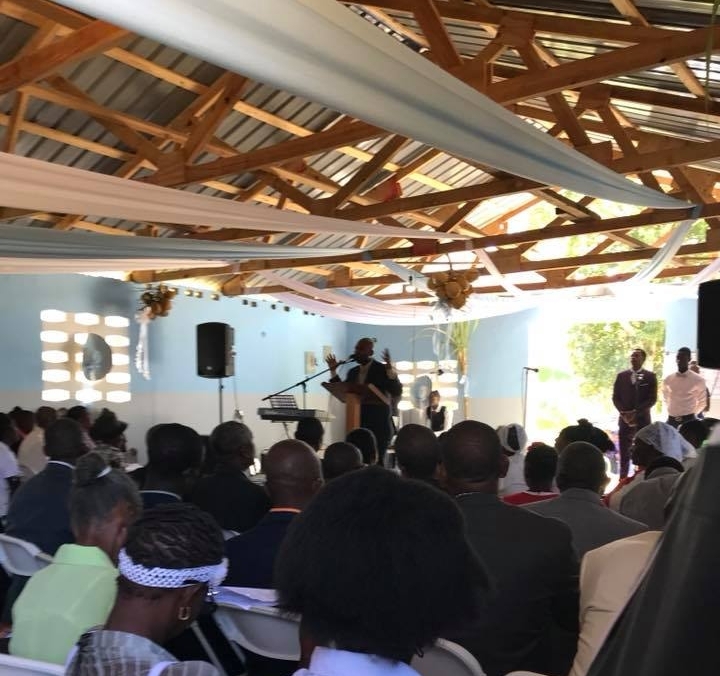 Croix-des-Bouquets is a northern suburb in the Port-au-Prince metropolitan area, and Pastor Nesly Alexis has been dedicated to following the Lord's lead in planting a church here. Pastor Nesly graduated the Harvest Training Center in the Summer of 2017, and in January 2018 launched Harvest Croix-des-Bouqets. Since then, they've seen God move firsthand, as the congregation has continued to grow, and they are working on plans to expand their capacity and create new ministries and small groups. Located in the central department of Haiti, Lascahobas is an agriculturally driven community that is known for the many Voudou festivals that occur regularly throughout the year in the surrounding hills. In hearing the Lord's call for revival here, Pastor Carnold joined the Harvest Training Center's first class and graduated in the summer of 2017. Launching Harvest Lascahobas in March 2018, he has since seen so much hunger for the Word in his congregation that they are now looking to implement children's, youth's, men's, and women's ministries.